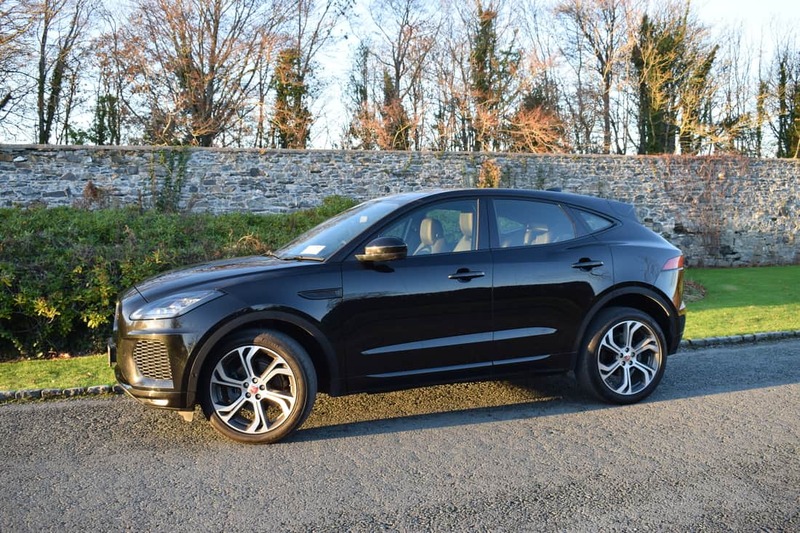 New Jaguar E-PACE 2.0D AWD ‘First Edition’ Review. 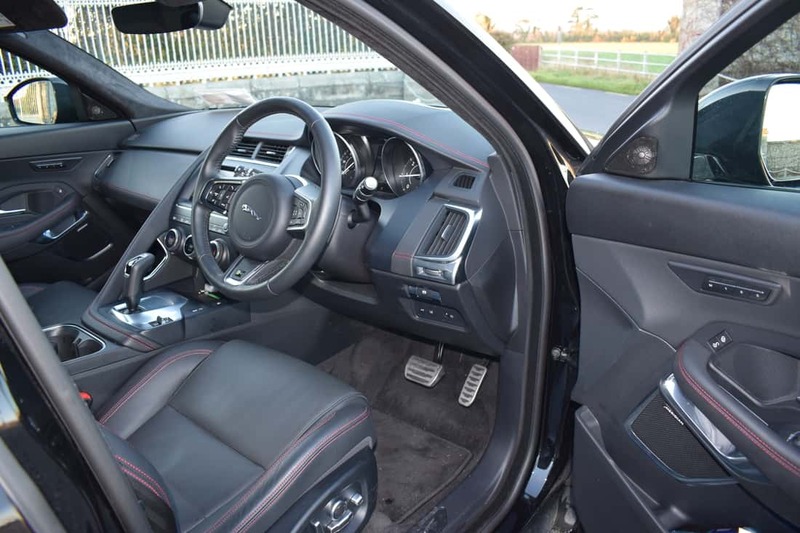 The new, award winning, Jaguar E-PACE takes the renowned Jaguar driving experience and adds everyday practicality with class leading interior stowage. The new E-PACE is Jaguar’s second SUV, following in the footsteps of its, hugely successful bigger sibling, the Jaguar F-PACE. Jaguar’s third SUV is the stunning I-PACE and is Jaguar’s first all-electric performance SUV. Having never had an SUV in its line-up until 2015, the iconic British marque has produced three in as many years. The new E-PACE competes in the ultra-competitive compact SUV market, which comprises of rivals such as the Range Rover Evoque, Mercedes-Benz GLC, Audi Q3, Volvo XC40 and BMW’s X1 and X2. Far from being a shrunken F-PACE, the new Jaguar E-PACE is very much individual in its own right, with its own unique identity and character. 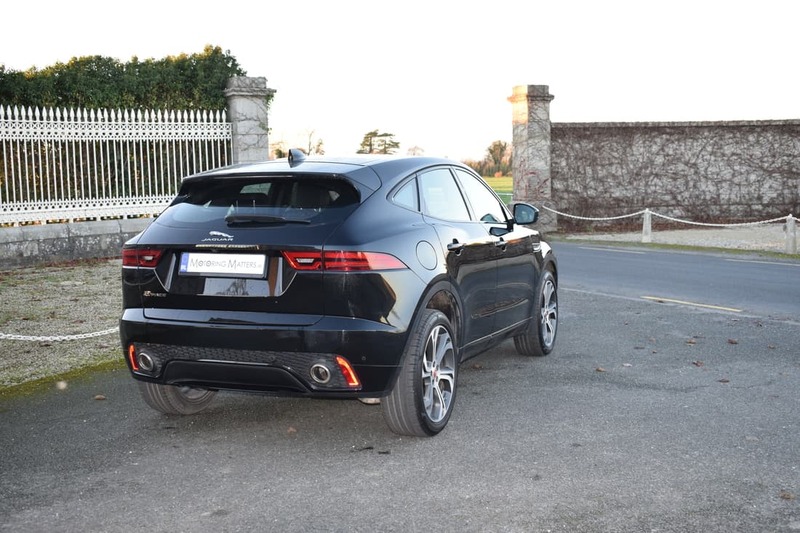 Designer Ian Callum looked to the Jaguar F-Type sports car when penning the E-PACE’s lines, hence the shape of the grille and the headlights, plus the angular look to the tail-lights. 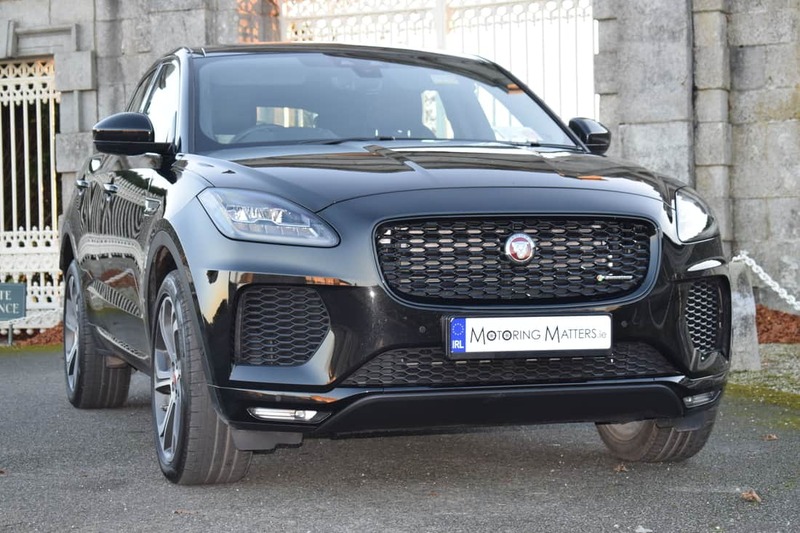 The end result is an SUV that provides a unique combination of stunning looks, outstanding agility and excellent driving dynamics – in true Jaguar fashion. 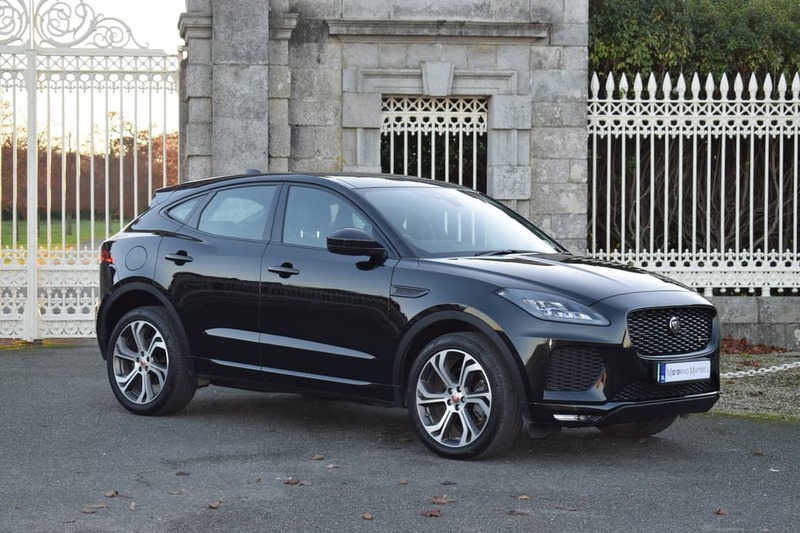 The new Jaguar E-PACE model line-up comprises two base versions – the regular E-PACE and the sportier looking E-PACE R Dynamic, with both versions offered with four trim levels. 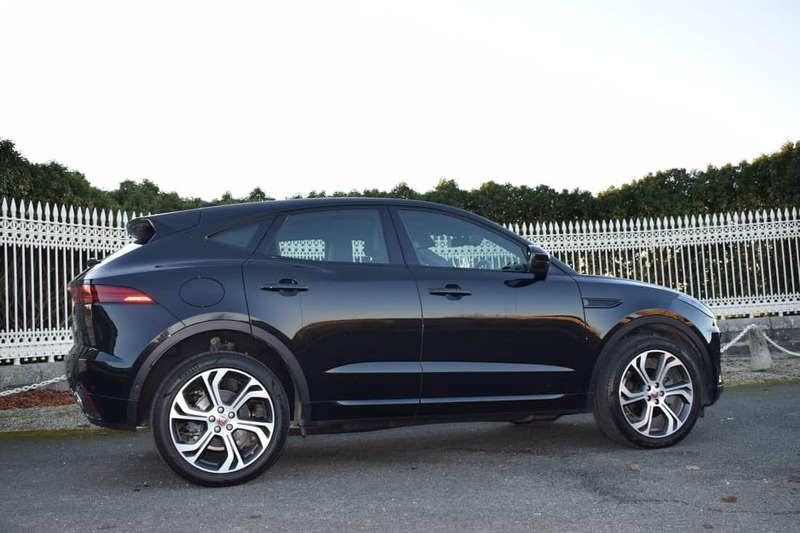 Entry-level models are simply called ‘E-PACE’, followed by ‘S’, ‘SE’, and ‘HSE’ in ascending order of specification – bringing the total number of trim and equipment variants to eight. Opting for an R-Dynamic car means you get a revised front apron with larger, singular air intakes either side of the grille, front fog lamps plus a slightly different rear diffuser. Some of the black plastic exterior trim elements are transformed too, and become body coloured. R-Dynamic cars ride on different alloy wheels, and come with grilles finished in gloss black. 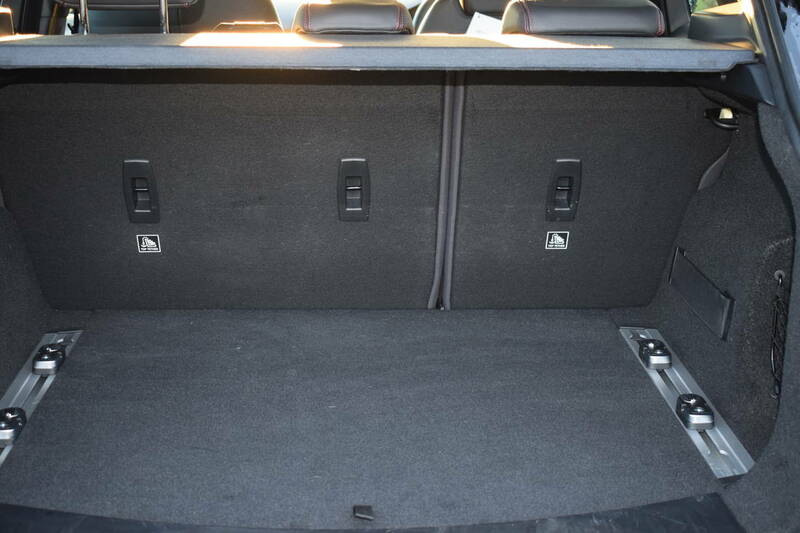 Touches inside include bright metal pedals, metal sill-plates, and sports seats. Additionally, but only available for the first model year, is a ‘First Edition’ model, which is based on the range-topping ‘HSE’ specification. Engine options in the Jaguar E-PACE include Petrol and Diesel ‘Ingenium’ units – all of which are 2.0-litres in capacity, with different states of tune available. The diesel engine is available with a power range of 150PS, 180PS or 240PS, while the petrol engine power options are 250PS or 300PS, with 6-speed manual, or 9-speed automatic transmission available depending on the specification chosen. 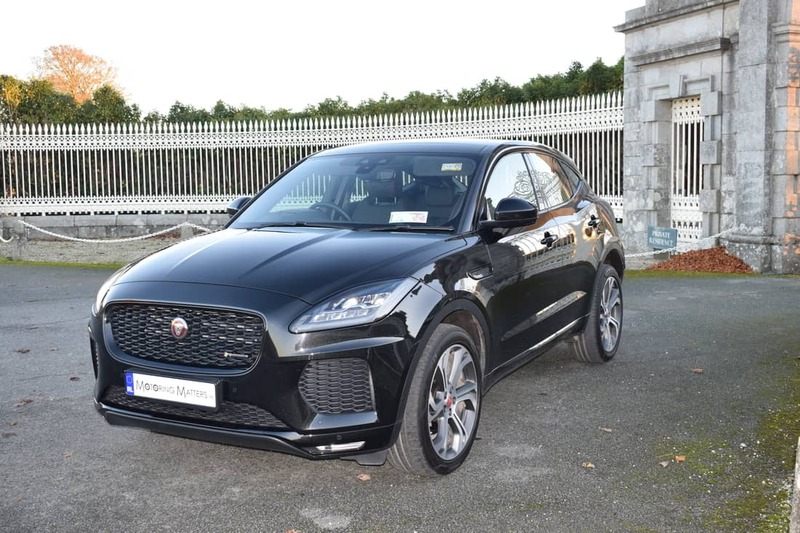 My test car was a Jaguar E-PACE R-Dynamic 2.0 D AWD (All Wheel Drive) ‘First Edition’ model finished in Ultimate Black metallic paint with Ebony Windsor leather upholstery with Flame Red contrast stitching. 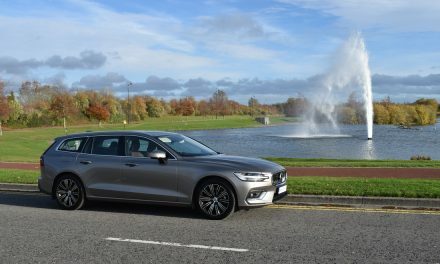 Exclusive First-Edition specification (over and above the ‘HSE’ specification) includes 20” alloy wheels with diamond turned finish, LED headlights with signature daytime-running lights, activity key, 18-way electrically-adjustable and heated memory front seats, Touch Pro and Connect Pro including Android Auto™, Apple CarPlay™, InControl Apps, Navigation Pro, Pro Services and a 4G Wi-Fi Hotspot, Interactive Driver Display, Meridian™ Sound System, a head-up display, keyless entry & start, ‘First Edition’ floor mats and an auto-dimming rear view mirror. As we have come to expect from Jaguar, only the finest quality materials have been used in the cabin of the new E-PACE and the overall construction of the dashboard is faultless. 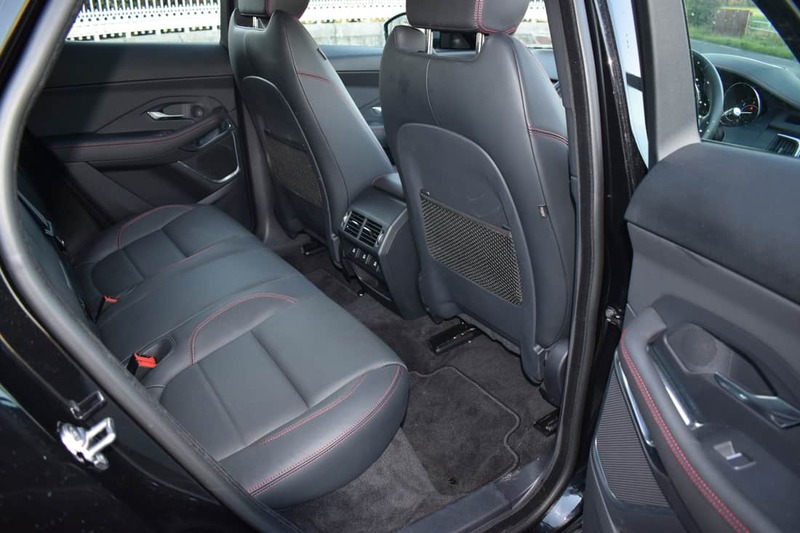 Seating comfort is supreme, while there is ample head, leg and shoulder room for up to 5 occupants. 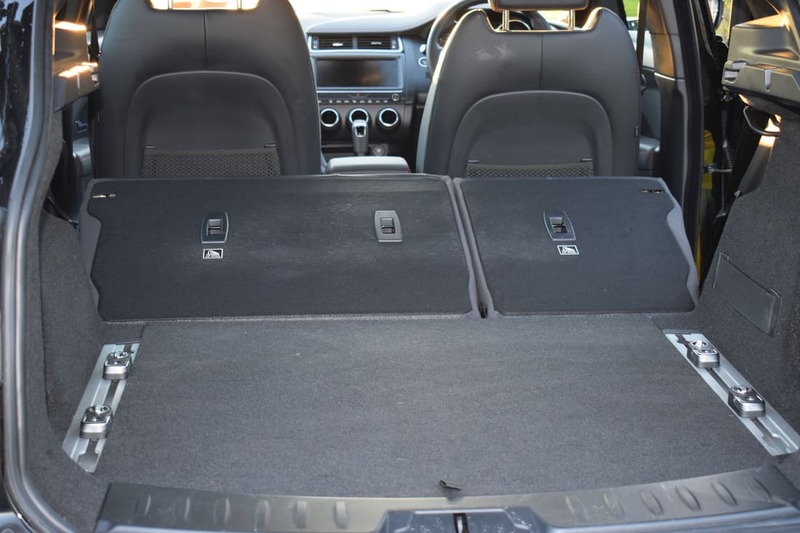 Boot space is a very respectable 577-litres with the rear seats in the upright position, but increases to 1,234-litres with the rear seats folded for the utmost practicality. The turbo-diesel engine in my test car produces 178bhp (180PS) and a hefty 430Nm of torque, allowing the 0-100km/h sprint to be completed in just 9.3-seconds. A top speed of 205km/h (where permitted) and fuel consumption as low as 5.1l/100km (on an extra-urban driving cycle), complete some very impressive figures for the new Jaguar E-PACE. The chassis of the E-PACE has been developed to deliver agile and refined on-road dynamics and this becomes evident when driving on uneven road surfaces. Aluminium chassis components are used to improve suspension performance by increasing stiffness. 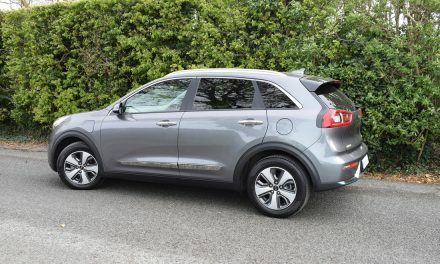 To increase ride comfort the E‑PACE has a fully independent suspension system with a multi-link rear suspension design. The steering in the E-PACE provides terrific feedback to the driver and is precise in its directional ability. Balanced and responsive through corners, my test car reacted quickly and precisely to my driving commands for total driving pleasure and reassurance. For performance across a wide range of conditions, the All Wheel Drive (AWD) system intelligently controls torque distribution between front and rear axles. Drive torque is balanced across both axles to fully utilise the available traction from all four tyres. All Wheel Drive models are fitted with Jaguar’s ‘Active Driveline’ system enabling torque vectoring on the rear axle. 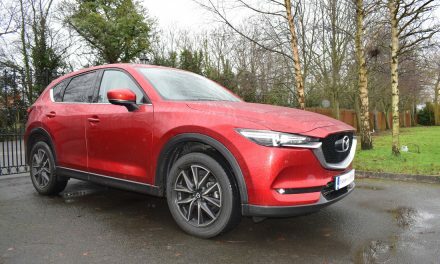 You will feel a little tug at the rear as the inside rear wheel is braked, and the outside is fed more power, with up to 100 per cent of the rear axle’s torque available in just one corner of the car. 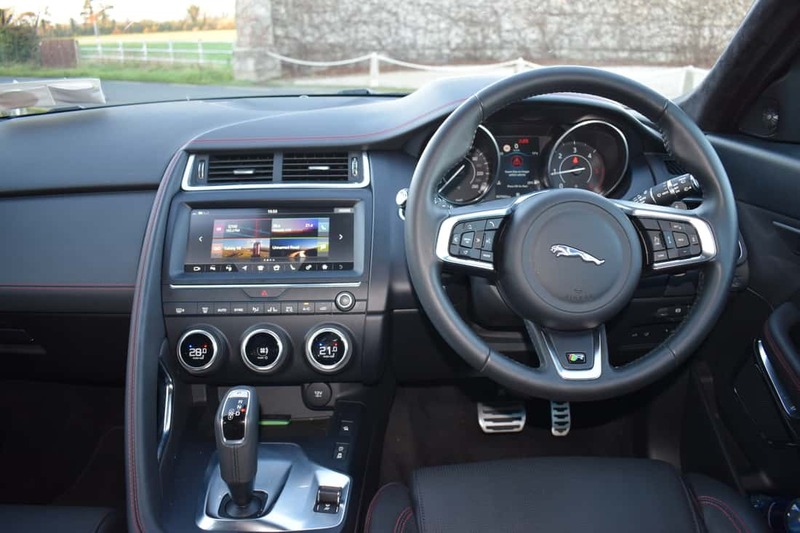 The driver-focused interior of the E-PACE features a contemporary design, while the cockpit wraps around the driver, putting all controls and dials within easy reach – allowing the driver to enjoy the driving thrills on offer. The standard 10” touchscreen infotainment system (called Touch Pro) is integrated into the cars dashboard and is intuitive to use and responsive to the touch. 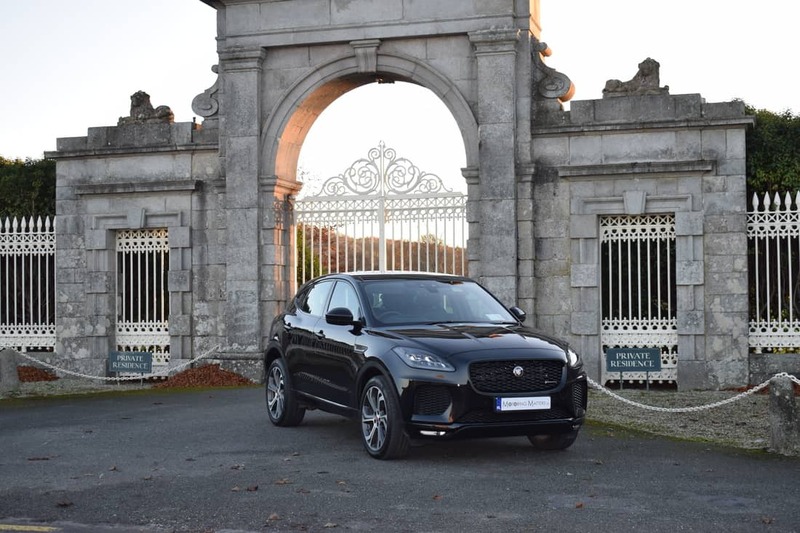 Jaguar’s E-PACE has achieved a five-star Euro NCAP rating, confirming the vehicle is among the safest on the market. Offering outstanding protection for adults, children and pedestrians, the vehicle scored highly in all categories. Its comprehensive suite of standard safety systems, including Emergency Braking with Pedestrian Detection, and Lane Keep Assist, combine to provide superior protection. With enhanced driving dynamics and refinement, every journey is a pleasure in the new Jaguar E-PACE. Ex-works prices start at just €38,495, with the model I drove priced at €71,425 (inclusive of metallic paint). A 3-Year parts & labour warranty comes as standard across the entire Jaguar range. Jaguar’s new E-PACE really does set the ‘pace’ in the compact SUV segment. Visit www.jaguar.ie for further information. 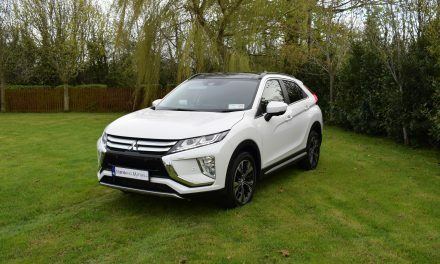 PreviousIrish Car of the Year 2019 – Winners Announced. NextStunning New Mercedes-Benz C200 AMG-Line Cabriolet Automatic.